J.R.R. Tolkien may have given us the idea of the modern orc, but it was gaming that raised them to maturity, turned them into recognizable pop culture icons, and, at times, instilled them with a sense of humanity that was never present in Tolkien’s work. Over the years, they’ve generally been used for mindless enemy hordes in fantasy settings when undead don’t fit the lore, and their popularity is such that some of gaming’s recent favorite enemies (such as Dragon Age’s Darkspawn) are little more than orcs by a different name. 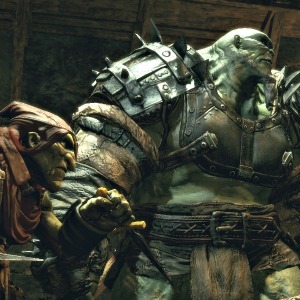 Still, some franchises have managed to make their orcs stand out from the rest, so we’ve compiled a list of our favorite orcs from PC gaming. If you like your orcs green and mean with a side of snaggletooth, then you have the Warhammer series to thank for that–or, more specifically, the tabletop “greenskins” created by Games Workshop. 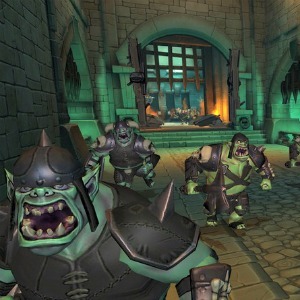 Allegedly conceived as a parody of rioting British soccer hooligans, Warhammer’s “orks” serve as the basis for almost every gaming orc in subsequent history. Vicious, funny (in a uniquely British kind of way), and dumb, they thrive on launching bloody “WAAAGH!”s to fuel their primal lust for conquest. If that’s not bad enough, they’re also almost impossible to eliminate. Not only can they travel through space in the Warhammer 40K universe, but their penchant for near constant reproduction through fungal secretions ensure that they’ll be pests for generations to come. Few studios love their orcs quite like Blizzard Entertainment, and if you ever doubt that, you should head to their to their Irvine, California headquarters and check out the massive 12-foot tall lupustrian statue of an orc lording over their courtyard. Their pedigree from the orcs of Warhammer may seem every bit as obvious as the influence of Warhammer’s Space Marine suits on StarCraft, but over the years, Blizzard has distinguished them with one of fantasy’s best orc backstories. More than single-minded brutes who originally swarmed over civilization as members of a bloodstained “horde,” Blizzard’s orcs now struggle with the dual calls of their shamanistic heritage and their brutal warmongering legacy. 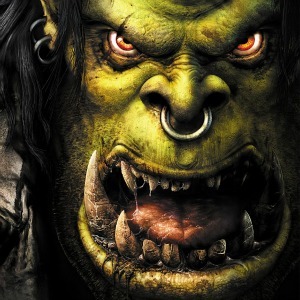 Yet there’s another reason why Warcraft’s orcs stand out: with World of Warcraft, they became among the first orcs that players could step into and play as themselves. If there’s a theme to the story of the orcs in Tamriel, it’s that even the most barbarous races can contribute to civilization. Back in 1994’s Arena, orcs were originally little more than the mob-minded slaughter fodder, but over the years Bethesda has imbued them with a body of lore equal to any of Tamiel’s other races. 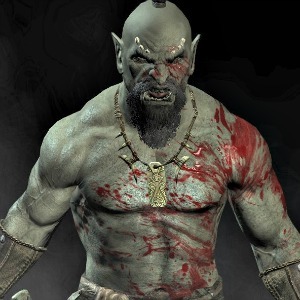 Tamriel’s orcs, in fact, are but another variation of elves, achieving their distinct tusked look after Boethiah munched on an orcish hero and spat out their Daedric benefactor Malacath. (Skyrim’s Falmer, intriguingly enough, have a backstory similar to that of Tolkienian orcs.) These days, they’re more chummy with humans than they are with their fellow elves, and in a strange twist for RPGs, their armor actually ranks above that of dwarves in the blacksmithing perks. Some of Bethesda’s most memorable orcs appear not in the field of battle, but rather among the trappings of civilization where other games have prepared us to least expect them. That’s not to say they’re any less ferocious, however; even an orc wizard, Skyrim’s Urag gro-Shub, claims he’ll tear you apart with atronachs if you disturb the peace of his library in the College of Winterhold. This entry isn’t concerned as much with the orcs in Gothic 3 or Arcania (who were kind of pushovers) as with the terrifying beasty boys of Gothic II. Their tusks and bulbous shoulders recalled greenskins and nothing about their lore stood out, but these were orcs as they should be–hulking, savage warrior beastmen that can pound a newbie adventurer to pulp in a couple of hits–and the way the narrative sent you among them long before you could handle them one on one instilled a genuine sense of fear. The idea was to sneak past them without fighting them, but many players missed the crucial hidden passage and found themselves facing unstoppable mountains of death that roared like silverback gorillas. 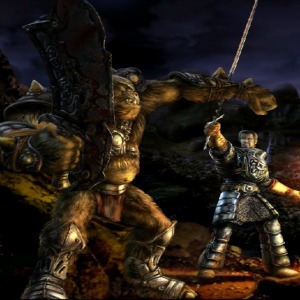 They remain popular to this day, appearing in several YouTube videos that boast of fighting several at once, and a popular mod for Gothic 3 switches out its wimpy orcs for Gothic II’s nightmare fueled terrors. As you can probably gather from the name, the Orcs Must Die! tower defense franchise isn’t terribly interested in giving their orcs memorable lore. If anything, judging from the barren state of their homeworld and the rifts that send them streaming into otherwise peaceable kingdoms on another planet, they owe more than a small debt to Warcraft’s orcs. But who cares, right? Orcs exist only to die in this universe, but they grab our attention because there’s just so many ways to lead them to that end. Methods range from predictable arrow walls and ice traps to brutal grinders that mash them into guacamole and void walls that wipe them out of existence. It wouldn’t be so much fun if the orcs themselves weren’t a challenge, such as the Heavy Orc Warriors that smash through your silly traps and smack you out of the way like the puny humie you are. 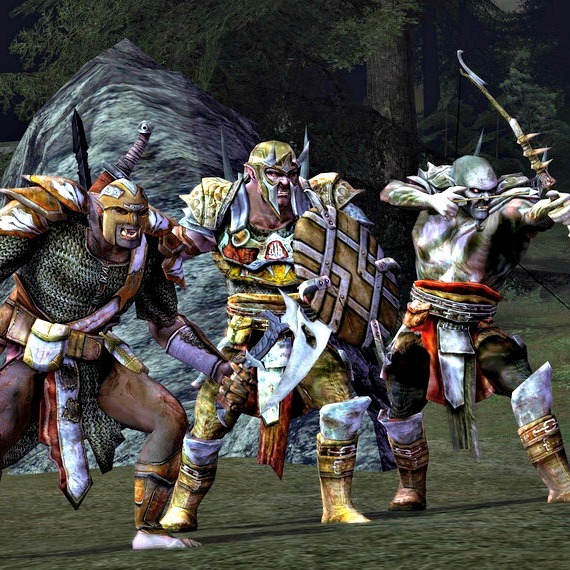 Tolkien’s brand of orcs are no strangers to gaming thanks to the flood of releases that came out in conjunction with Peter Jackson’s 2001-2003 trilogy, but the epic scope of Lord of the Rings Online allowed Turbine to grant us a greater glimpse into their everyday lives than we’d had before. That was true of the MMORPG proper, which sent players on reconnaissance missions into orc camps and sometimes (as in the Rise of Isengard expansion) to serve as slaves to Uruk-Hai. And yet Turbine also allowed us to step into their shoes at times, particularly in Monster Play, LOTRO’s limited version of player-versus-player combat that allows players to choose from four different orc classes. They handle the concept well enough–so well, in fact, that it’s always hard to play LOTRO’s orcs without realizing how fun it’d be if you could play the entire game this way. Of Orcs and Men is a tale about the dangers of racism, the evils of slavery, and the strange alliances that arise when the survival of an entire culture faces extinction. It’s also about a gigantic orc named Arkail cracking human heads. The general plot behind Of Orcs and Men doesn’t venture too far from cliche–humans and dwarves wage war against orcs, and they enslave the ones they don’t kill–but developer Cyanide enriched it by permitting us to only see the perspective of the orcs. It helps that the gameplay itself was often fun, based as it was on juggling perspectives between the temperamental Arkail with a foul-mouthed goblin in the style of early BioWare RPGs, but arrow-straight linearity and poor pacing soured the whole. Still, it takes a hard heart not to sympathize with Arkhail and his plight; indeed, no other game has proven so adept at showing us that orcs have feelings, too. 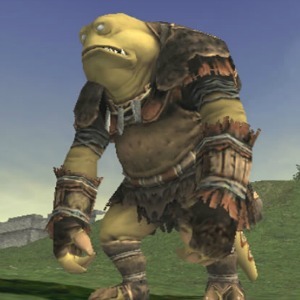 The orcs of Final Fantasy XI might look less like traditional orcs than first cousins of Genghis Frog from Teenage Mutant Ninja Turtles, but don’t expect any sewer surfin’ from these guys. Much like their Warhammer cousins, they cling so steadfastly to their habits of combat and pillaging that it’s easy to identify them as one of the few unequivocally evil races in the whole game. A surprisingly vicious bunch despite the comparative lightheartedness of their anime surroundings, they’ve been known to wear human skin for decoration, and their admiration for physical prowess is so strong that the few orc mages hide their faces in shame. Their modus operandi didn’t differ significantly from other orcs, but Square Enix deserves credit for demonstrating that we need not limit ourselves to Warhammer and Tolkienian archetypes.